Hey guys, hope you are all doing well. You may have noticed that both the blog and my Facebook page have been a bit lean lately. There are a lot of reasons for this, not the least of which is simply a busier than normal life for me and my lovely lady wife. First of all we moved and I hate moving. It’s always more than you think and it seems to always have to happen in the middle of summer and anyone who’s read this blog much knows just how I feel about summer. (Hate it.) There’s also just a lot of stuff around moving. Like, we moved into a house and so now I have to deal with wasps. Also Hornets, Yellow Jackets and anything else that flies and stings but doesn’t make honey. Honey Bees are cool, because without them there would be no Mead. Had to get over some genuine irrational fears to deal with getting rid of the stingy bastards too as Liz is allergic. Go me. We’ve also just had a lot of things going on around the move. From Liz’s cousin’s EPIC birthday extravaganza of adventure and magic (remember him? He wrote that awesome novella The Pendragon Armada), to Liz’s own hella-cool Guardians of the Galaxy Omaha excursion, we’ve been pretty busy. Another reason why I stopped doing Facebook in particular is because I discovered that most of my posts were not reaching the people who had liked my page. It’s all really complicated and annoying, but what I’ve learned is that, because I do not already have 50k + likes, Facebook doesn’t want to let people see my posts. Which is one of the dumbest things ever, honestly. As an independently published author I rely HEAVILY on social media for getting exposure for my work. If no one is seeing my posts, there kind of isn’t any point to having a page. So, I’m probably going to be cutting back on FB for awhile. I might try another venue of social media at a later time, but for now…I’m kind of done. I was determined to get my new short story Blood of the Honored finished, so you may have seen that posting, but only because I forced myself to do it AND because it was actual WORK. Which brings me to probably the most important reason why I’ve been off the web for a bit: I need to write. The whirlwind of the last two months is finally starting to calm down and I’ve just realized that if I’m ever going to get my next book finished and ready for you to read, I’ve GOT to start writing again (and not reviews for games that no one but me likes, or horror movies that a lot of people have already seen, but ACTUAL work). I’d mentioned in an earlier blog that I’m starting to branch off of Soul Star and into some of my other stuff like Riflen, that’s why I wanted to finish Blood of the Honored and get a story from that universe under my belt. So that’s where I am at: moving forward. I’m probably not going to be doing much at all on my FB page, and blogs are going to be few and far between and will likely be more stories than anything else. I’m refocusing. My new focus will be on actually writing. At least for the time being. I’ve got two holiday stories that I’m hoping to have ready for you all to enjoy by Halloween and Christmas and, if all goes well and according to plan, I’ll have a really exciting announcement for everyone closer to November. I want to take this opportunity to thank everyone who reads this blog. I hope you’ve enjoyed it and I hope you will pop back every now and then to check for new stories. Thanks for everyone for listening and as always, have a wonderful day! P.S. 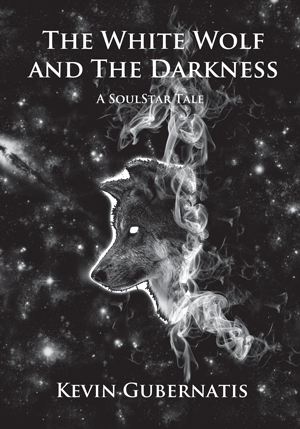 I’d also like to take a moment to thank everyone who has already purchased a copy of The White Wolf and The Darkness and moreover, those who have finished it. Your feedback has been helpful.